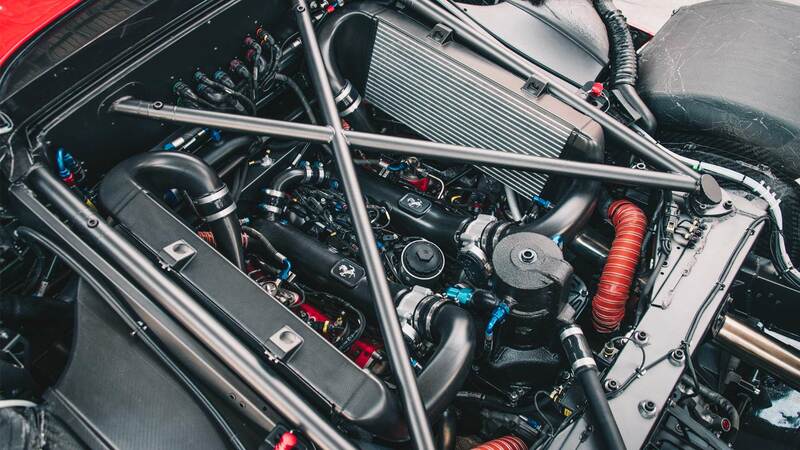 We car enthusiasts often think of creating our “own” project isn’t it? 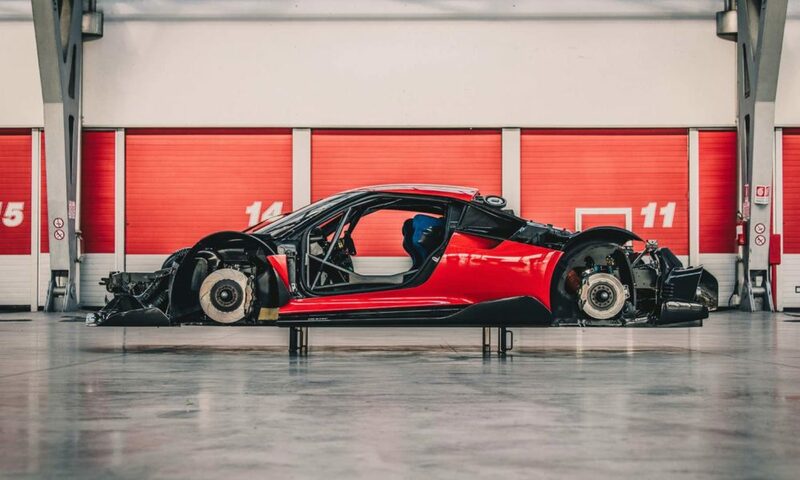 Take something as a base and make it into something a bit more interesting and fun. 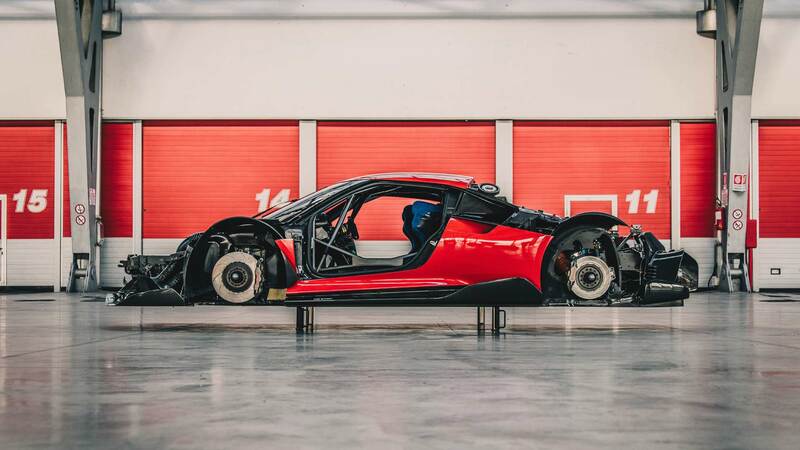 Things become a lot more easy when you have a lot more cash than you actually need, and when there are carmakers who’re happy to take up bespoke commissions, you might as well team up and create a one-off for yourself. That’s probably what happened with the Ferrari P80/C. 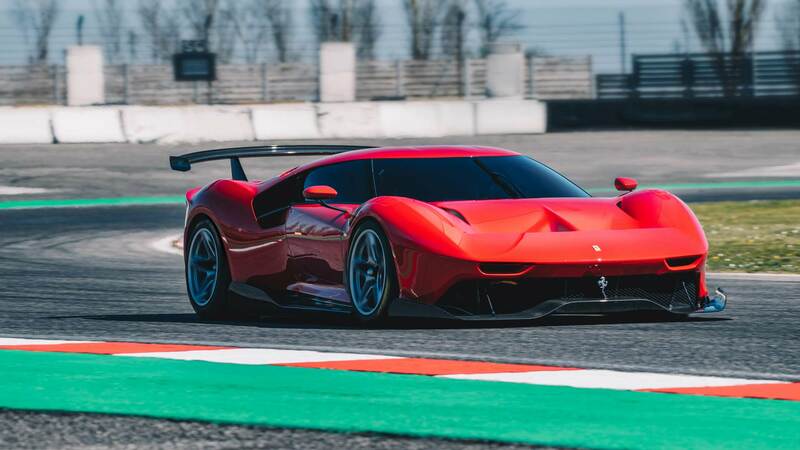 This project was kicked off sometime in 2015 – longest of any Ferrari one-off. 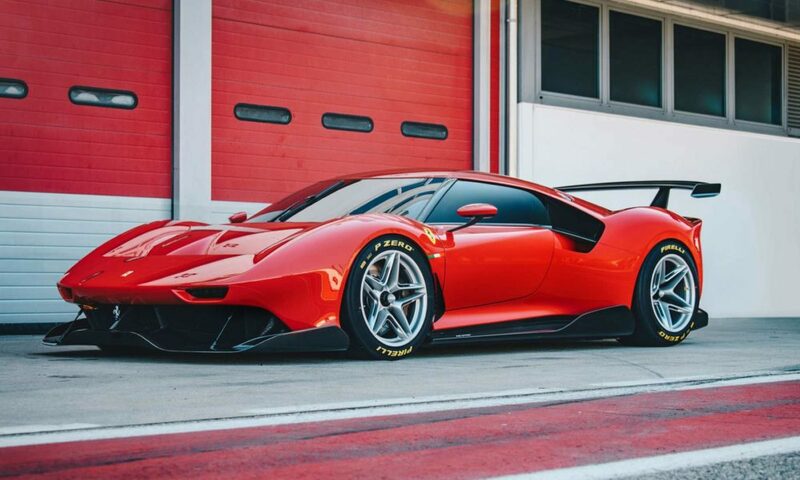 Apparently, the client comes from a family of long-time Ferrari connoisseurs and is himself a highly knowledgeable, discerning Ferrari collector. 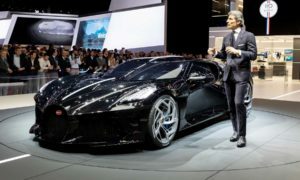 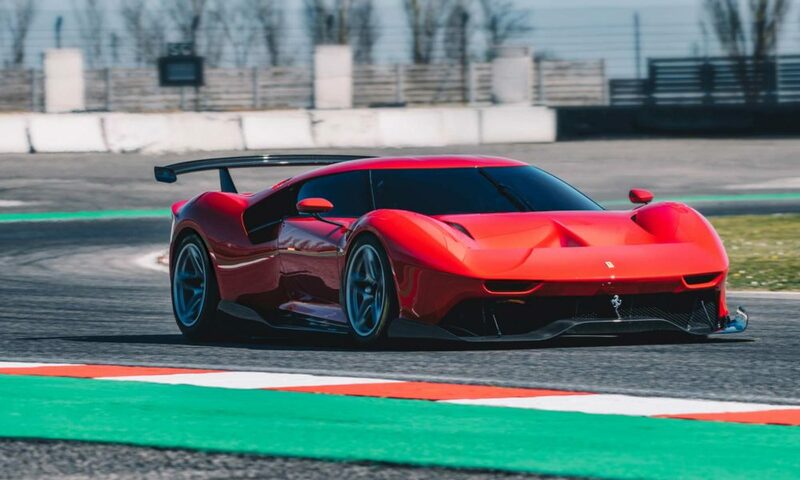 Back to the P80/C, the one-off borrows its design cues from Ferrari’s history – 330 P3/P4 and 1966 Dino 206 S. The chassis that was chosen for this project was of the 488 GT3, mainly for its longer wheelbase (+50 mm compared to the 488 GTB) which allowed for more creative freedom. 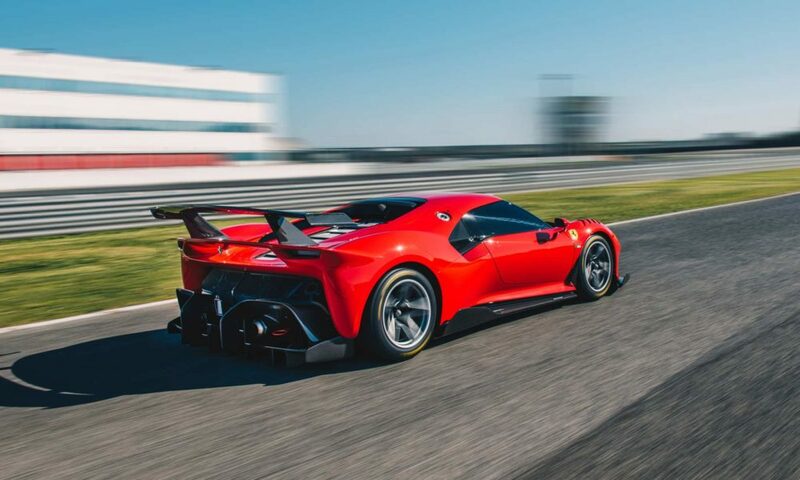 Compared to the 488’s centrally positioned cockpit, the GT chassis allowed the designers to create a cab forward-effect with an elongated rear. 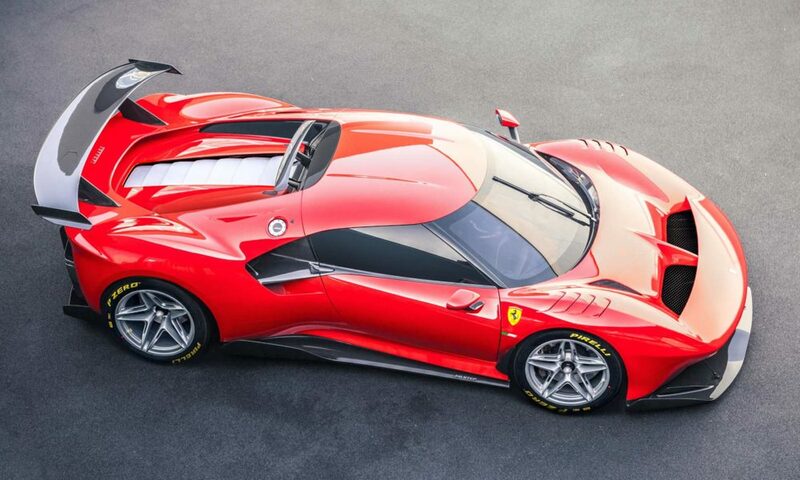 Another design highlight is the flying buttresses converging into the roof, which together with the wraparound windscreen, create a visor effect. 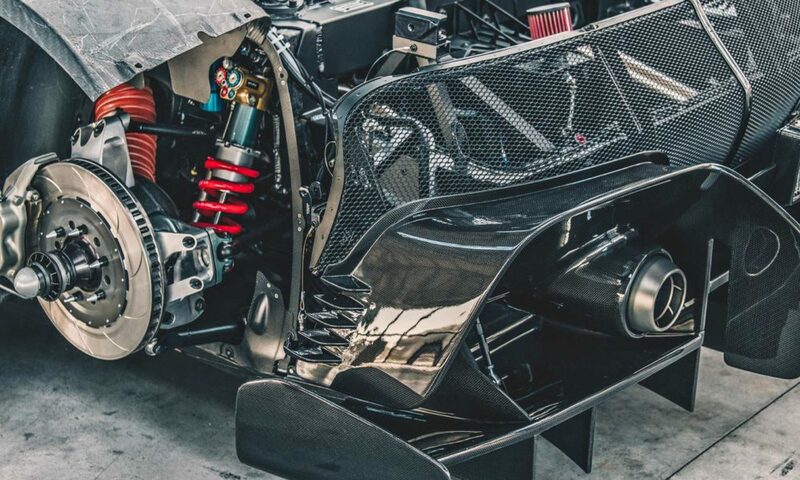 Also notice the windows merging into the side air intakes, adding to the drama. 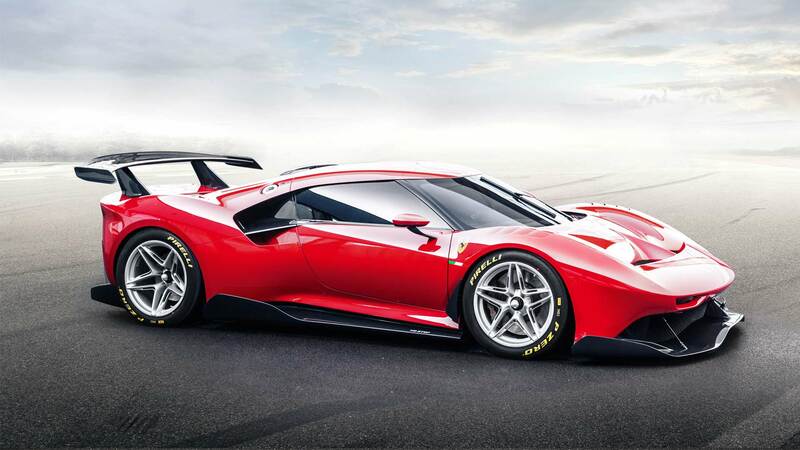 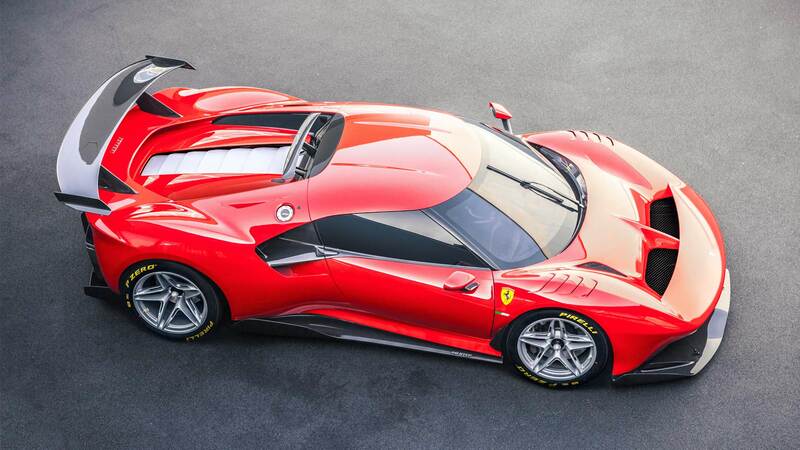 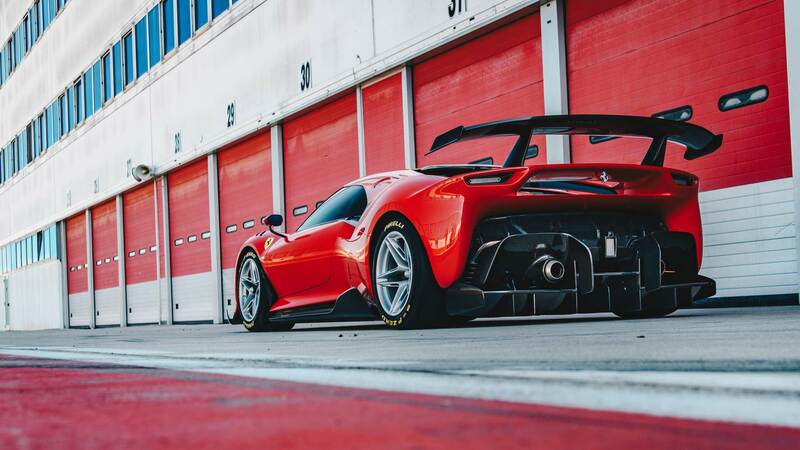 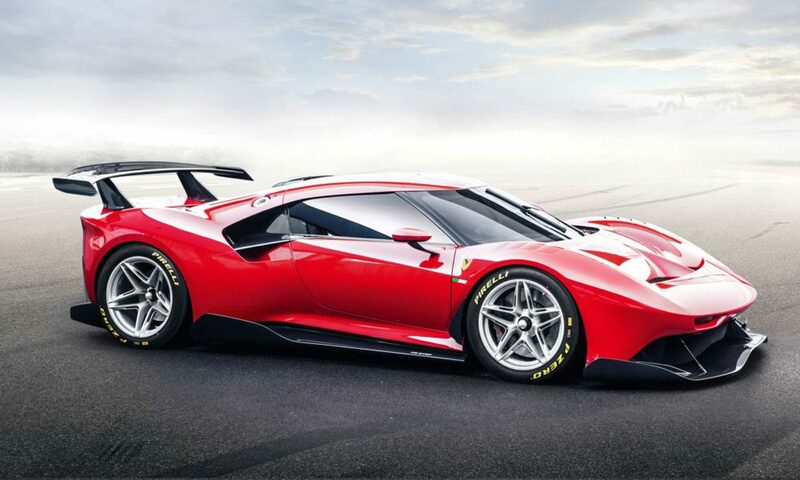 Some of the aerodynamic elements have been borrowed directly from the 488 GT3, such as the front splitter and vortex generators of the rear diffuser. 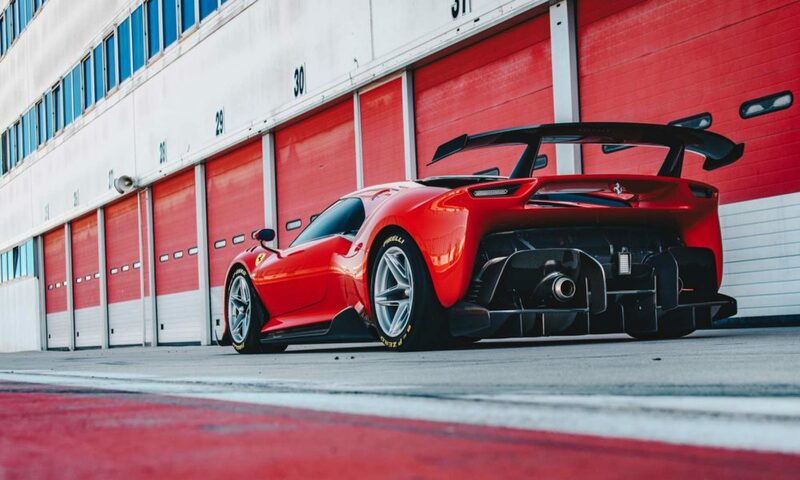 Ferrari says there’s an improvement of around 5% in overall efficiency. At the rear, the tail lamps are designed to look like air vents, reflecting the front design. 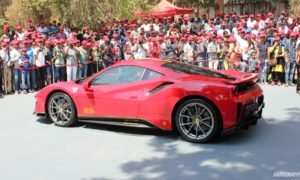 At the client’s request, the car gets 18-inch single-nut wheels, and an exhibition package complete with 21-inch wheels. 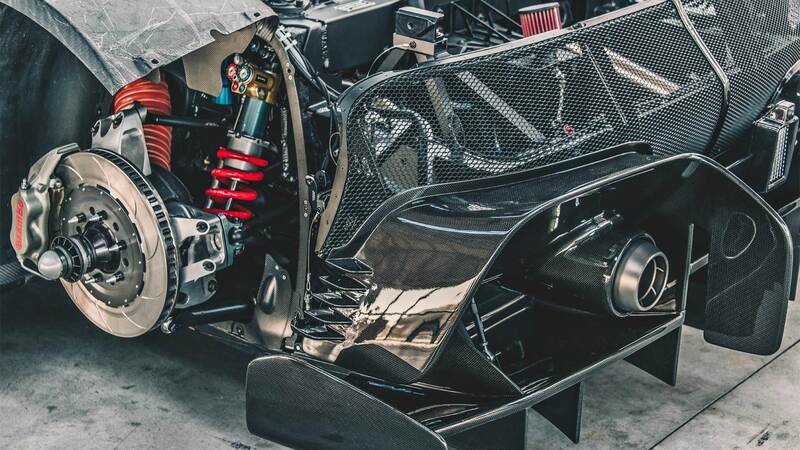 Most of the car has been made from carbon fibre, including the removable rear wing. 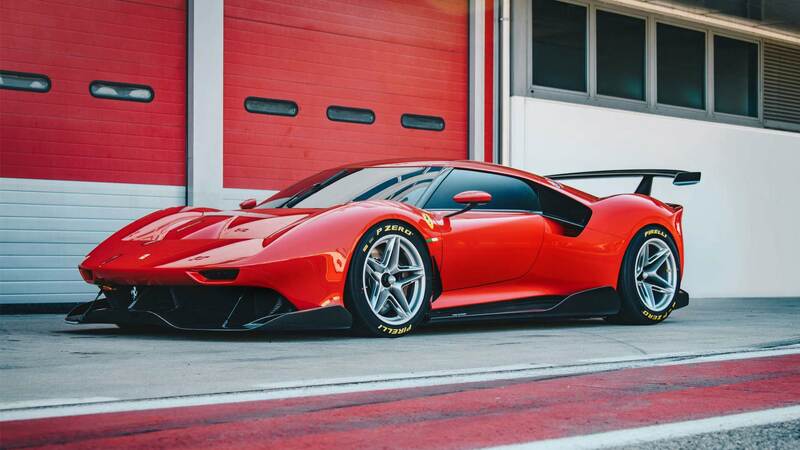 In case you’re interested, the body is finished in Rosso Vero. 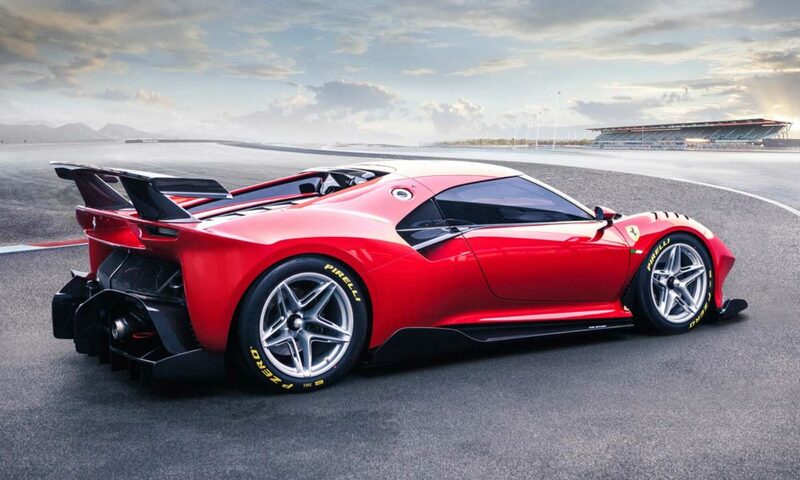 The Ferrari P80/C is a track-only machine, which explains its interiors and its dramatic exterior design. 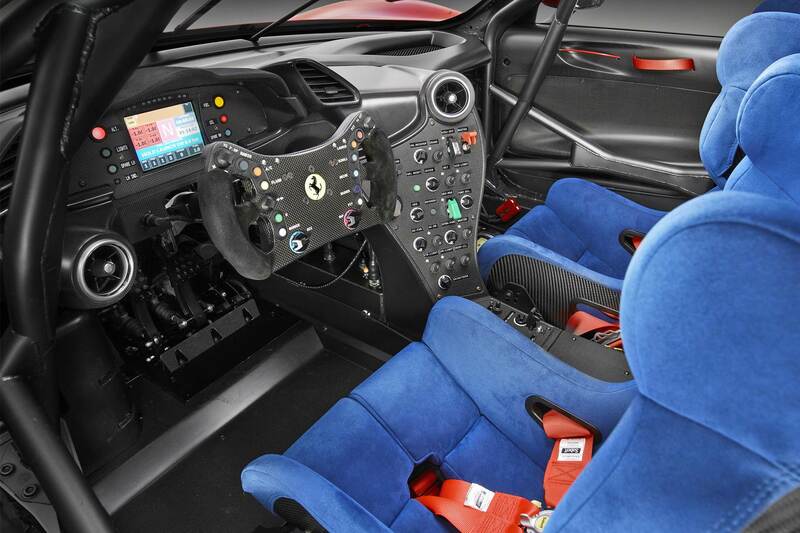 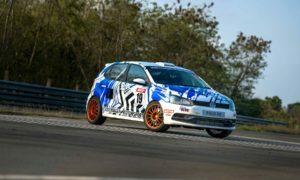 The track day car seems to feature air conditioning as well.